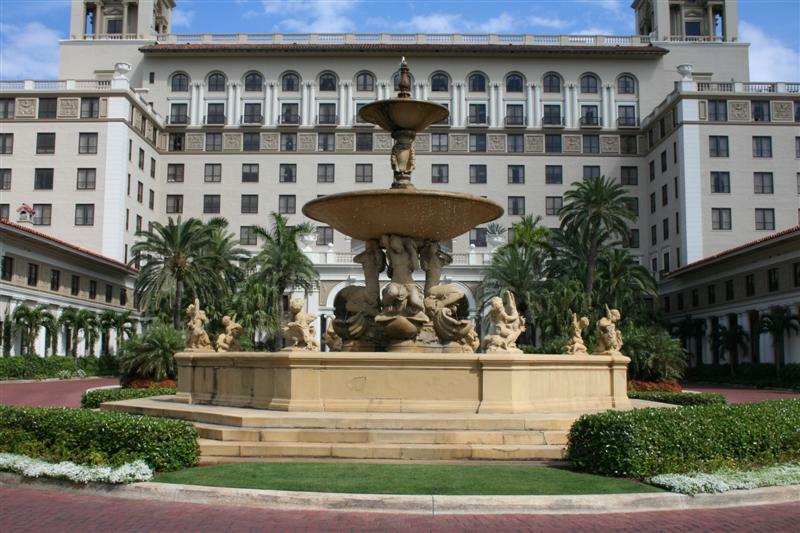 The main fountain at the Breakers Hotel in Palm Beach, Florida was built during the construction of the current hotel in 1926. 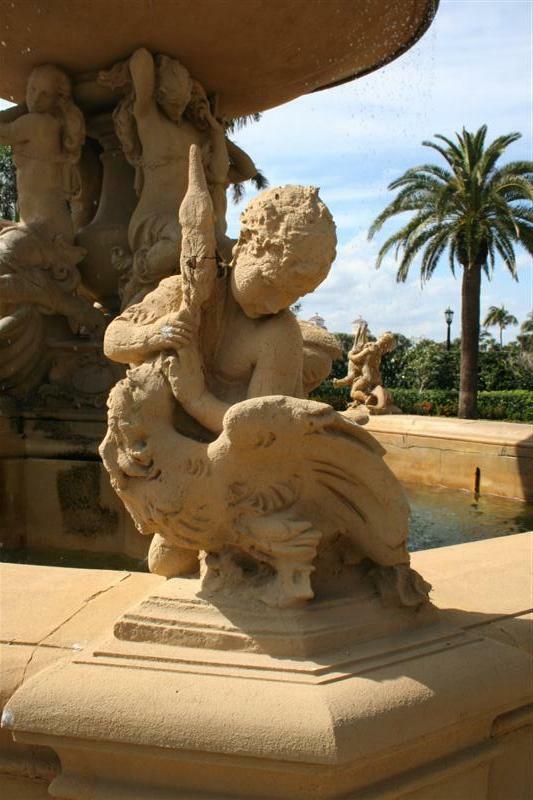 It was inspired by an entrance fountain to the Boboli Gardens on the Pitti Palace grounds in Florence, Italy. 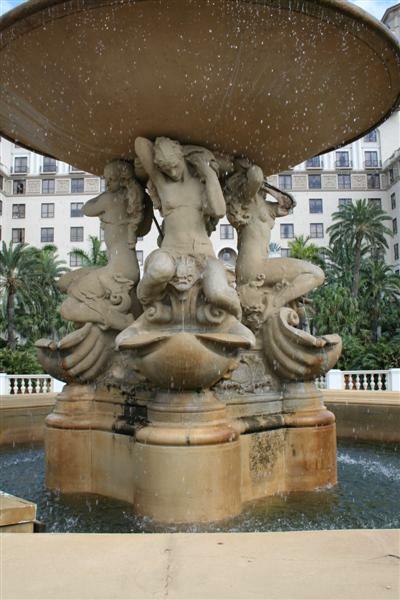 The fountain was created from designs by Leo Lentelli, a noted artist who in 1915 made significant contributions to the sculptural decoration of the Panama-Pacific Exhibition in San Francisco, including the design for a central feature similar to the Breakers’ fountain. 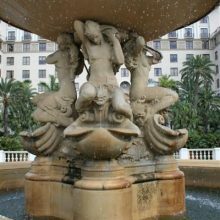 The cast stone fountain consists of a central sculptural feature of four nymphs supporting two tiers of basins, spindles and a finial within an octagonal pool. 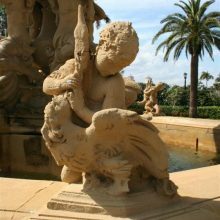 There are eight putti holding either alligators or herons alternating around the basin atop the corners of the pool copings. The pool is raised within a stepped plaza that is centrally sited at the terminus of the main drive just west of the hotel entrance. 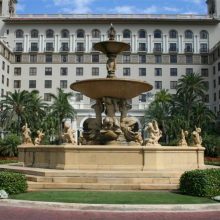 In early 2007, we assessed the overall condition of the main fountain at the entrance to The Breakers’ Hotel and developed treatment recommendations for its restoration. 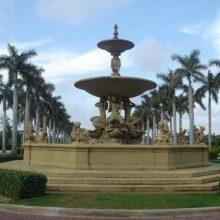 The goal was to document the condition of the fountain’s structure and mechanical equipment, determine deficiencies, and ascertain the causes and extent of the deficiencies in order to specify a method to restore the fountain, both aesthetically and functionally. The existing materials were to be preserved or replicated as needed per the conservation requirements for a landmark historic site. 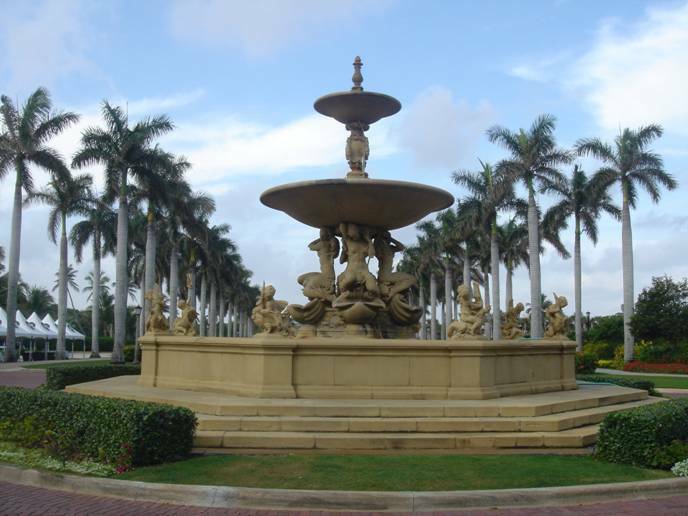 The fountain’s operability had to meet current building code and industry standards.